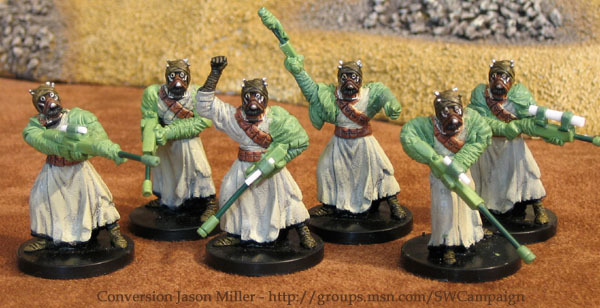 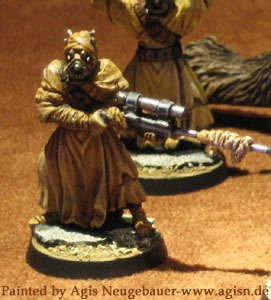 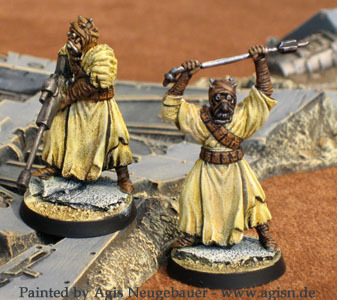 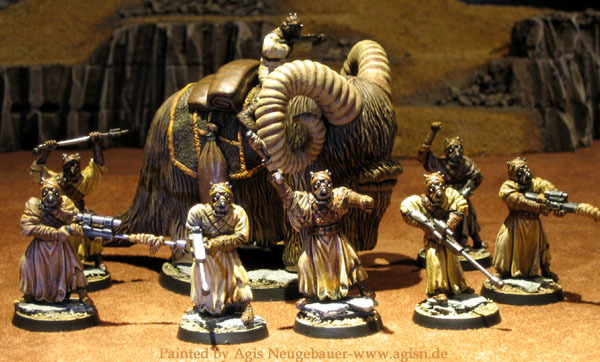 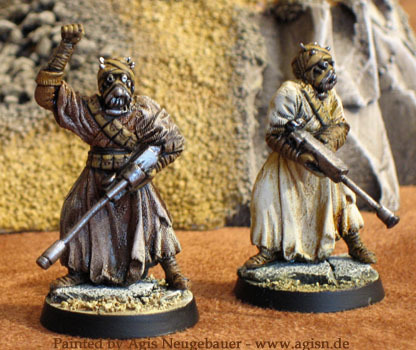 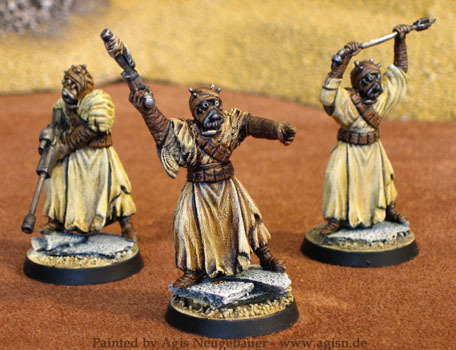 This Tusken Raider conversions are from Jason Miller / Edmonton Alberta (click on his name to go to his website). 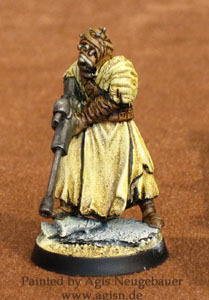 A fantastic conversion work. 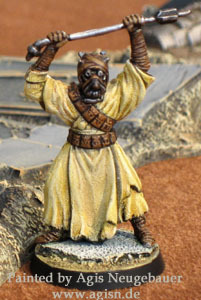 I saw his Tusken conversions and asked him, if he would do some for me. 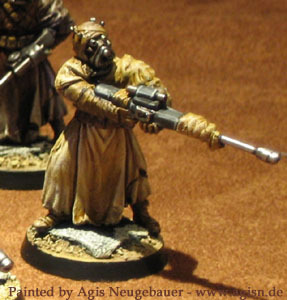 He was kind enough to do! 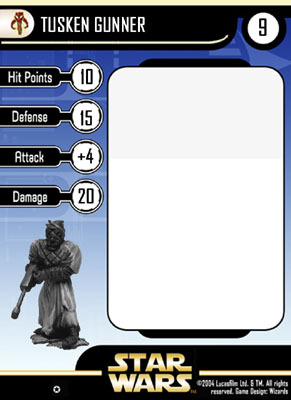 My first attempts on some Custom Cards. 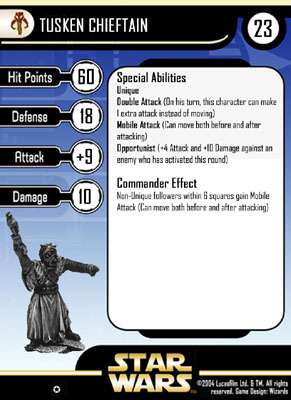 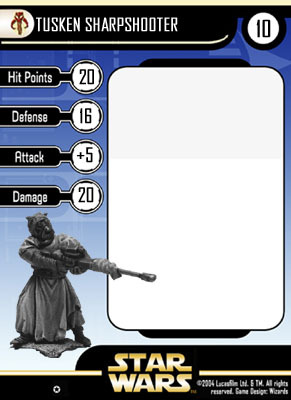 To make the card quasi legal I just took the Stats of existing cards and switched the picture with a B&W one of my miniature.